African Moons partners are incredible! Because of you we are ABLE! Your compassion is ready for action and continues to bless the people of Tanzania. During my trip to Arusha in November, Golden Mgonzo, the Director of the Shalom Center, and I went bike shopping for the children. 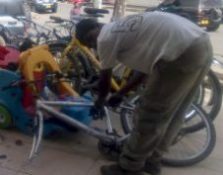 We were able to buy two bikes thanks to dear friends, Steve & MaryLou Singleton. 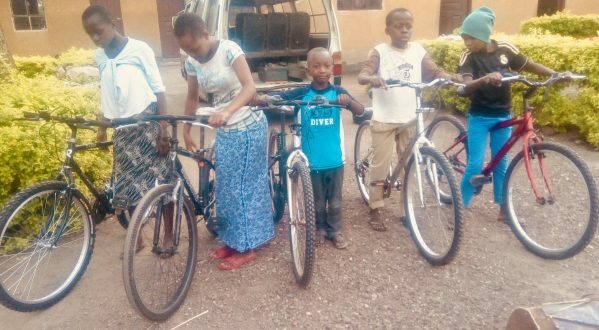 The Shalom Center kids needed a total of seven bikes, so Pastor Steve Singleton and his congregation of Restoration Fellowship committed to buy five more bikes. 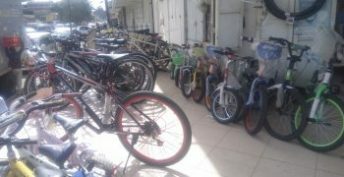 They generously raised the additional funds on Christmas Sunday and five more bikes have been purchased for the Shalom Center children. Pictured below is the fruit of their investment! Thank you Pastor Steve and your wonderful people! 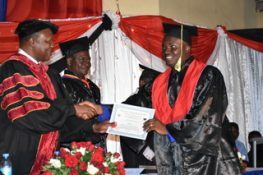 I also attended the 59th graduation of the Northern Bible College, aka Arusha Bible College, in November. Thirty-seven students graduated and are now ready to engage in their call to preach the Gospel. 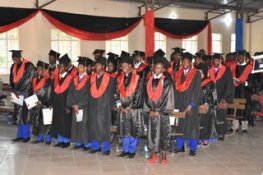 In addition, thirty-six students completed their one-year English course. Ten years ago we stood in faith to establish African Moons, we committed to build a dormitory which was desperately needed. Today, because of your faithfulness, the dormitory you helped build is full to capacity. Students continue to be blessed with up-to-date accommodations to live and study. Now, more men and women are waiting to attend the college. This is exciting news! After much prayer, we believe that God wants to build another dormitory. Project Manager, William Geter, Jr. has the plans for the Phase Two Dormitory! The Phase Two Dormitory will have three floors, twenty rooms per floor, four students per room. THAT’S 240 STUDENTS! The projected cost to build this dorm is $350,000. 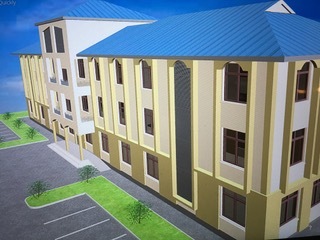 Please agree and believe with abundant faith for this dormitory to rise from the ground. Everything that God has accomplished through African Moons the past ten years is based on a promise God gave us when we established African Moons. This promise still stands today.